- Canada doesn't have the institutionalized racism as the US. Asian American filmmakers require good execution and the confidence to tell their own personal stories. - Insight into “For Izzy” (starts 30:18): the inspiration, the writing and production process, working with actors. - Demographically, Asians are late to the entertainment game. - Asian Americans caught between two cultures. James's takeaways from Audible's Mandarin children’s version of this Chinese epic. Mainly: By helping others, we can better ourselves (from monsters to saints), teamwork is key, and it’s a super imaginative story. 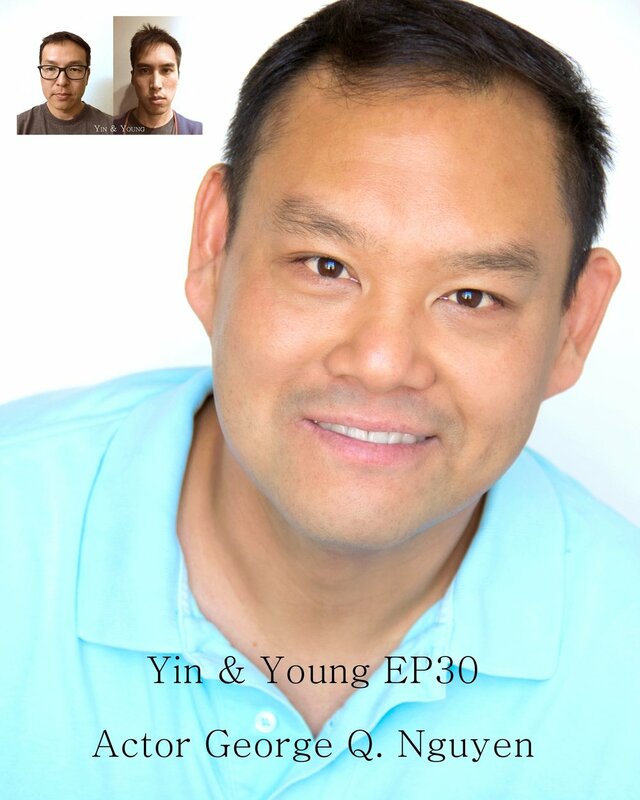 Welcome back to Yin & Young the podcast! In this episode we spoke with Alex Chu, the writer and director of “For Izzy” (links below), an amazing film on the film circuit that delves into mental disorder, drug abuse, and the parent-child relationship in Asian American families. We delve into Alex's upbringing, thoughts on Asian representation, and his journey into filmmaking. Tiger Sheu returns as our special guest host! - Alex is originally from Canada and also spent part of his childhood in Libya due to his dad's job. - Son of Taiwanese parents. - Sent back to Canada for school. - Regrets not learning the local language when living abroad. - Growing up in Canada was fine, no overt racism, but did feel certain pressures like not wanting to speak Mandarin in public. 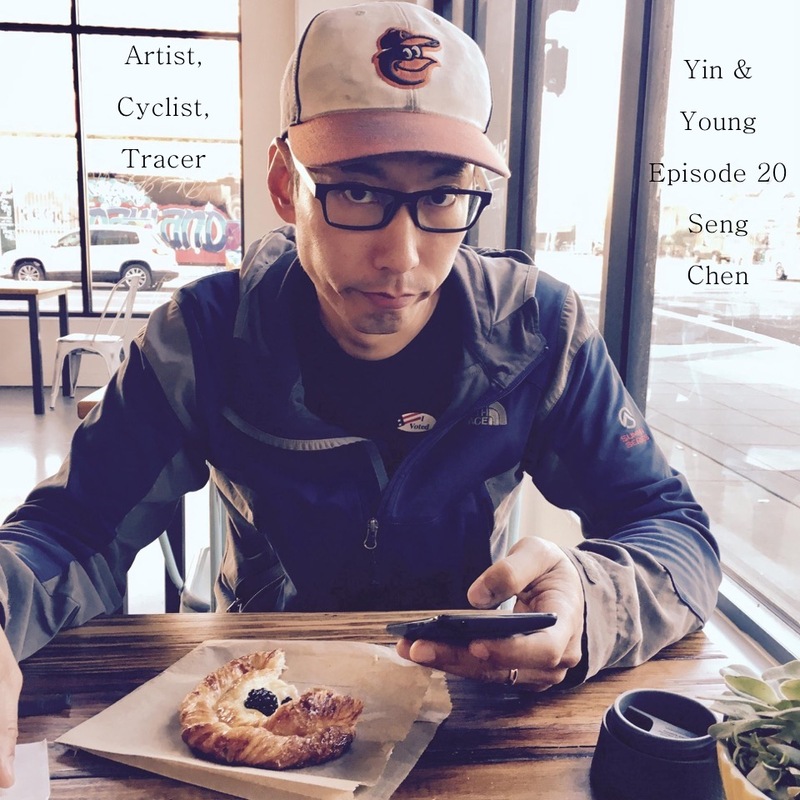 After a month-long hiatus, Yin & Young are back with an interview with actor George Q. Nguyen discussing his path from SF to LA and balancing a day job with an acting career. - Young met George in the Bay Area for a screening of "The Grandmaster." - George's parents used to teach language for the Defense Institute in Monterey. Was born in El Paso, but grew up in San Francisco. Started as a film major as an undergrad and filmed in 8mm. - Took one acting class as undergrad. Realized was more passionate about being in front of the camera or on stage then behind the camera. - Changed his major to Cellular & Molecular Biology, wanted a more practical major. - Got a job at ACT selling tickets to upcoming shows and was able to take ACT classes at night. Started working at a biotech before graduation. - "Whenever a director asks you to audition, you audition," was one of the first great acting lessons he learned. - Continued working both at a biotech firm and at ACT doing sales. - Biotech pays the bills to allow George to pursue his creative endeavors. - George got hit by a car not too long ago. Broke his leg in different parts and as gone through multiple operations to fix things. Rough start to 2018. - Being a consultant/contractor allows for some flexibility to go to auditions. - Tried various martial arts in SF such as Wing Chun where he learned in a garage. - Oscar Corner: Yin and Young and George discuss some Best Films from 2017. "Coco", "Three Billboards", "I, Tonya", "The Shape of Water." Vietnamese - đám giỗ - death anniversary. Yin & Young meet with actor, writer Teo Yoo in Seoul and delve deep into his journey as an actor from Germany, to America, to the U.K. and eventually settling in Korea. Teo's path gives insight into the parent-child relationship, the artistic process, and finding one's place in the world. * James met Teo at Sundance in 2015. * Teo starred in the film “Seoul Searching” directed by Benson LEE (not Kim). * Born and raised in Germany, Teo left at age 20. * Wasn't great at school, but excelled in the arts and athletics. Played a lot of street basketball. * Made a deal with his parents to finish high school if he could travel for a year. * Took classes at the Lee Strasberg school in New York and decided that acting was for him. Also studied Meisner technique. * Maxed out his dad's credit card to pay for school over the course of two years. * Used all his resources to buy tons of DVDs and to watch plays. Watched two films every day before he went to sleep. * Sacrificed everything for acting: there were times he didn’t have enough money for food and or a place to sleep. * After getting on the wait list, called the Royal Academy of Dramatic Art (RADA) everyday and until he got into the program. * Teo went back to Germany soon after London and started writing poetry. * Father's side is from North Korea. Mother's side is from North Korea and from a southern island of South Korea. * His father started off as a miner and his mother was a nurse in Germany. * After the mines closed down, the Yoo family started their own deli. * In Korea, Germany, or the U.S., doesn't feel accepted as one of their own. * Is a citizen of the world. * Writing is his therapy. * Teo’s a published children's author in Korea. Using Shakespearean rhythms, he wrote a story about a little monster that eats socks. * Teo plays Viktor Tsoi in an upcoming film by Kirill Serebrennikov called “Leto”. Said it was his hardest role to date. * Did research of Korean historical figures he would like to play such as Antonio Corea the “Korean Man”. * Wants to cultivate his acting and reserve directing for his 40s. * Has found spiritual help in the writings of Eckhart Tolle. Language Corner: Where is the toilet? Taiwanese - pian-so ti toh-ui? German - Wo ist die Toilette? Soundcloud: Florence Kamerad - https://soundcloud.com/fyodorkamerad The tracks “Coelln 1988” and “Hopa Minor” were used for the intro and outro respectively. Song in the 60 sec teaser is “autumn 31”. Apologies for the delay! Yin is busy with family business and Young is currently traveling. In this episode, we're speaking with film/tv, theatre, and voice actor Feodor Chin! Noted voice actor for Overwatch as Zenyatta. The only time he has ever played Zenyatta was at an eSports Convention at UCSD. "Experience Tranquility" is the sound byte that Feo likes most. Went to high school in San Francisco and had an inkling to act. His major was no longer offered the year he matriculated into UCLA. Started acting in the Bay Area, most notably at a theater in the Tenderloin. The first couple of years back in LA as an actor was mostly commercials. Most roles don't require an accent. James encounters a racist while getting some Mexican food. Feo has only experienced outward racism in LA. Has dabbled with online dating prior to meeting his current girlfriend. Feo's tweeting has become more political since 45 has been elected. You may have heard Feo's voice on audible. "Big Little Lies" is Feo's pick for the best TV show this year. Listen to get all the details! Much appreciation to Feodor Chin for joining us. Yin & Young are catching up with writer/director James Z. Feng, who is now based out of Taiwan. Special guest host Aaron "the fish" Estrada! Lived in South Dakota for a year before moving all around the Bay Area and winding up at UCSD with Young. Tragedy was the catalyst for Feng to go from ranked tennis player to filmmaker. The Chinese film industry requires every actor to keep grinding in order to stay relevant. Fear is a motivator for the top Chinese film talent. Different motivations between Western and Eastern production crews, idealism vs making the most amount of money. Telling the stories of people who are not usually represented as well as hearing audience reactions inspires Feng to continue creating. 1. Never apologize for being who you are. 2. Make some time for yourself. Young - Taiwanese: - lí-hó-bò - 你好否? - How are you? Yin - Japanese slang: nan ba shiyo tto? - What are you up to? Feng - Wuxi dialect: ho che ma - 好吃嗎？ - Tastes good? Aaron - tagalog: anong balita - What's new? 1. For every Feng humble brag. 2. For every time Young stutters for fear of embarrassment of what he's about to say. Dan and James have a chat with polymath Seng Chen. Seng is an artist (photographer, musician, writer), cyclist, and a tracer (a practitioner of parkour aka freerunning). James gets some tips on cycling and briefly touches upon his solo ride from LA to San Diego. Seng doesn’t listen to music while cycling because he likes to “hear myself suffer”. Perception that minorities are not welcome to some activities like the outdoors. Seng recently went to Cuba for a week as a cameraman for an art project. OkCupid helped Seng meet his wife. James and Seng review “Okja” and discuss eating meat, Koreans directing white people, and exaggerated humor. Seng’s has been involved in various aspects of filmmaking. Music is a preferred creative outlet for Seng. Byron's the director of the feature films Bang Bang, Raskal Love, and Las Vegas Story. He joins us from Germany and shares some of his life experiences and spiritual thoughts. Formative years living in many cities and locales including a four year stint in China living with various relatives. Asian gangs were an early focus of Byron's due to his interest in seeing a different facet of Asian life represented in media and the camaraderie of gangsters reflect his own friendships growing up. Meditation has led to more self reflection by Byron. He's embraced meditation as a way of living and seeing life. alles klar - all is clear, everything's fine. Find us on Facebook, iTunes, Stitcher or subscribe via our RSS feed!